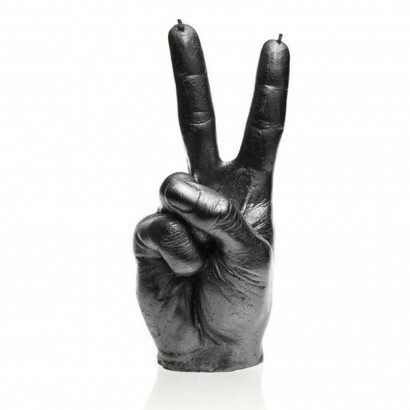 Peace out and relax in softly flickering candle light from this minimalist peace sign hand candle modeled upon a real adult male hand. 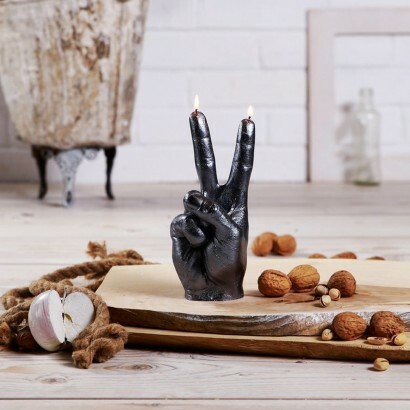 The stylish steel colouring makes this unique gesture candle a must for modern homes with it's far out looks and it's peaceful message. Both fingers have a wick making this unusual candle a double burner with a burn time of approximately 30 hours!